Indian Prime Minister Narendra Modi at the World Economic Form meet. Echoing world leaders and their outlook towards the shift in technology, Indian Prime Minister Narendra Modi on Tuesday said that data is the real wealth. Inviting global investors to India, PM Modi on Tuesday also said that the country was set to become a $5 trillion economy by 2025, riding on its vast market and strong and stable fundamentals. “Our present development agenda is based on five pillars. First and foremost, we do understand that our systems need to change. Hence, we are persisting with far reaching structural reforms. Thus, our first pillar is our mantra of reform, perform and transform,” he said. 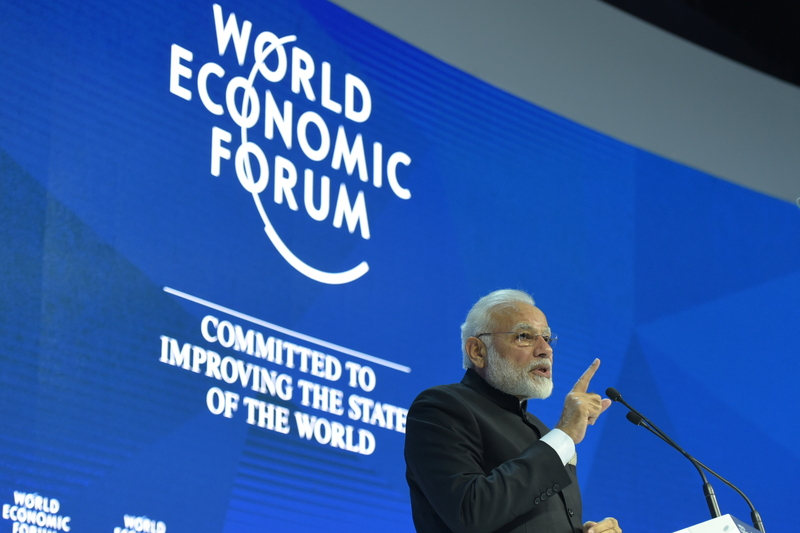 Modi is the first Indian Prime Minister to have visited Davos in 21 years, the former being HD Deve Gowda, who had attended the prestigious event way back in 1997. “In 1997, HD Deve Gowda attended the WEF meeting in Davos. That forum’s vision was about building of network society. Then there was no Euro; very few people knew about Osama bin Laden; Google was not invented, if someone would search Amazon on Internet then search results would throw information about rivers and forests. Tweeting was the work of birds,” PM Modi said, drawing a comparison. Some parts of his speech, which were construed as a swipe against US President Donald Trump’s ‘America First’ agenda, referred to globalisation, economic co-operation and taking a joint action climate change. You can read his entire translated speech here on the website of the Indian Ministry of External Affairs.